Bank of England governor, Mark Carney, has hit the nail on the head in his chat today with MPs on the treasury select committee. Whether interest rates rise sooner or later is not the issue. The issue is that they remain low. Low rates for an extended period of time don’t damage economic growth directly, but they cause damage in a multiple of other ways. 1. It damages GDP growth because of the effect low productivity has on it. Virtually all the net debt accumulation of recent years is public debt, the debt service burden (i.e. future taxes) could rise significantly, should interest rates begin to move higher. 2. It tempts investors to take undue risks. Investors looking for income chase higher yielding opportunities, as safer bonds no longer offer the income required, and capital appreciation seeking investors allocate more to riskier asset classes such as equities. The net result? Potentially a lot more risk in many portfolios than people are aware of and would be comfortable with, did they know and/or fully understand. 3. It magnifies the risk of a total collapse of our pension system. For most people this will have by far the biggest impact. Given the magnitude of unfunded pension liabilities in the Anglo-Saxon world, something will simply have to give. Political leaders in most countries prefer not to talk openly about it, which is (sort of) understandable, given that it is not the most obvious vote winner one can think of. However, the fact that David Cameron appointed one of the leading UK experts on pensions – and one with no previous ties to the Conservative Party - as a pension minister when his government was reshuffled earlier this year, is an indication that they are finally beginning to take the problem seriously. So what could happen? An across-the-board haircut? An extension of the retirement age? A mandatory conversion of DB schemes to less risky DC schemes? (Less risky – at least from the employer’s point of view.) Something else? I have no idea, but something is almost certain to happen. Otherwise entire countries could be forced to default on their pension liabilities, which is in nobody’s interest. Changing the discount factor is only the beginning of something much bigger to come but, quite frankly, changing the discount factor is akin to financial engineering anyway. No fundamental problems are resolved this way. The best of all worlds would obviously be a material rise in interest rates without a corresponding rise in the debt service burden, and without it having a negative impact on equity prices. UK rates have been held at 0.5% since March 2009. Most economists are not expecting the Bank to raise rates until mid-2016 at the earliest. 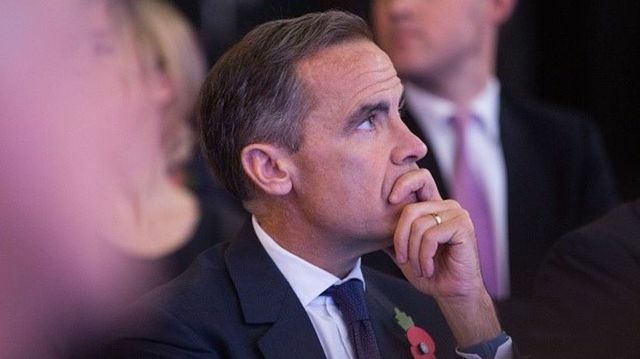 Mr Carney said that "even with limited and gradual rate increases it still will be a relatively low interest rate environment". Is China buying its way to self-sufficiency?